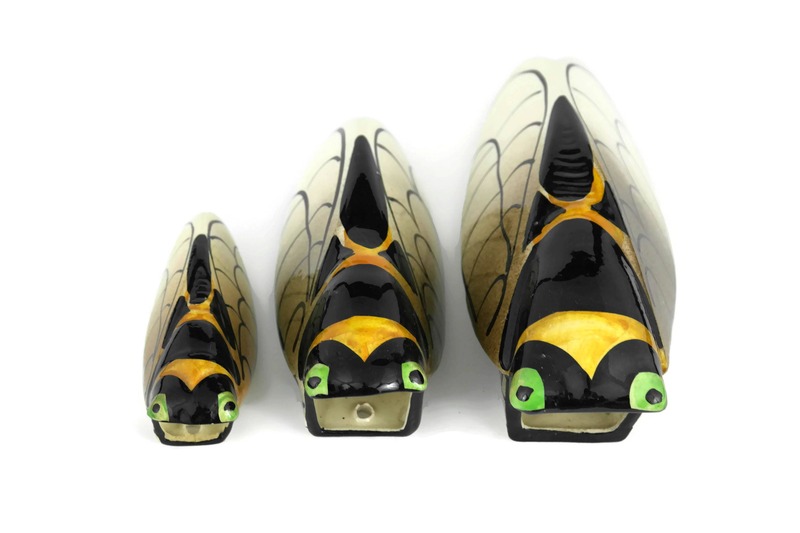 Set of 3 French Cicada Wall Pocket Vases. 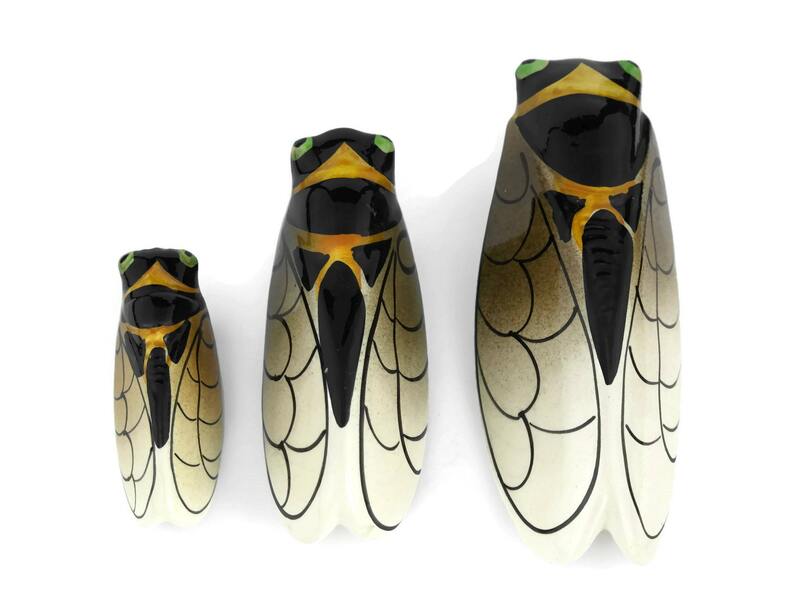 A charming set of 3 hand painted ceramic wall pocket vases in the form of French cicadas. 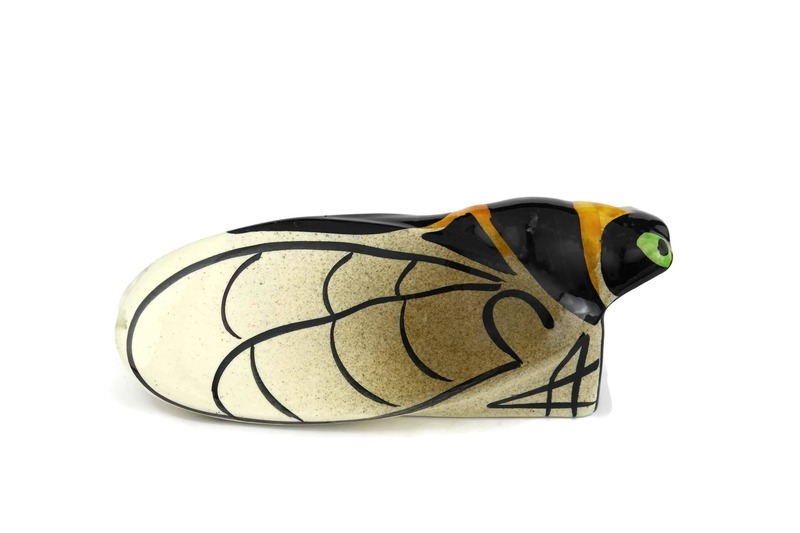 The cigale is a much loved insect in the region of Provence and their song fills the summer air. 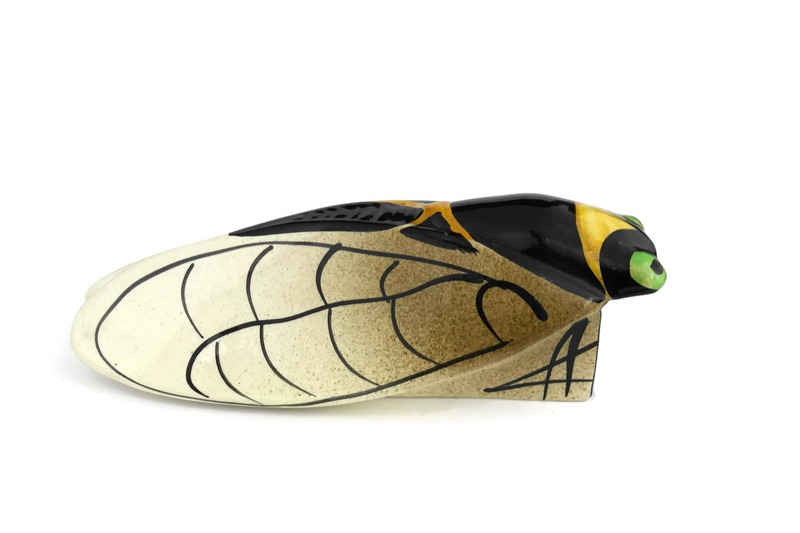 They are a popular figure in local folklore and there is an old tradition of hanging a ceramic model of a cigale at your front door with a small bouquet of flowers as a good luck charm. 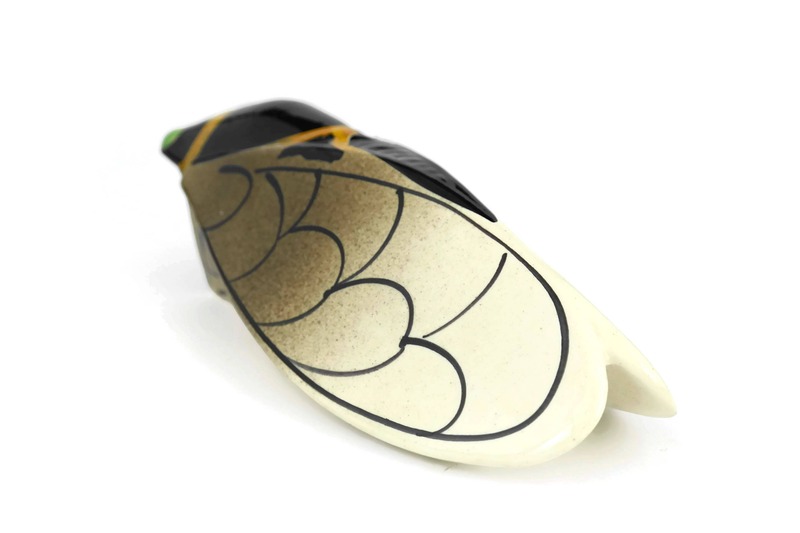 The three ceramic cigale wall vases are graduated in size and each has a small hanging hole on the reverse side. 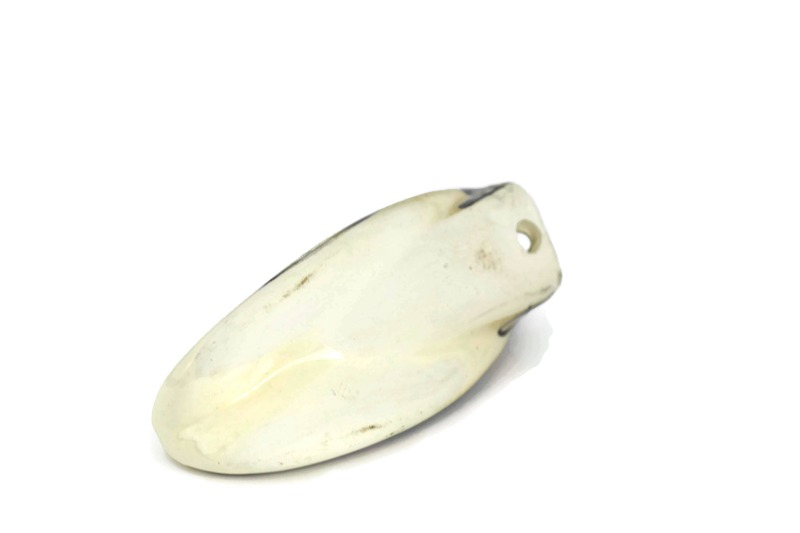 Large: 9" Long x 3" Wide (23 cm x 8 cm). 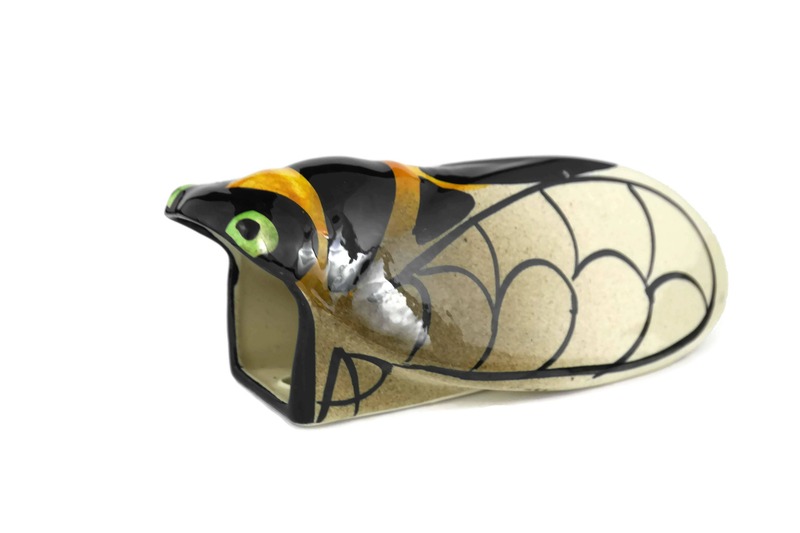 Medium: 7" Long x 2 1/2" Wide (18 cm x 6,5 cm). 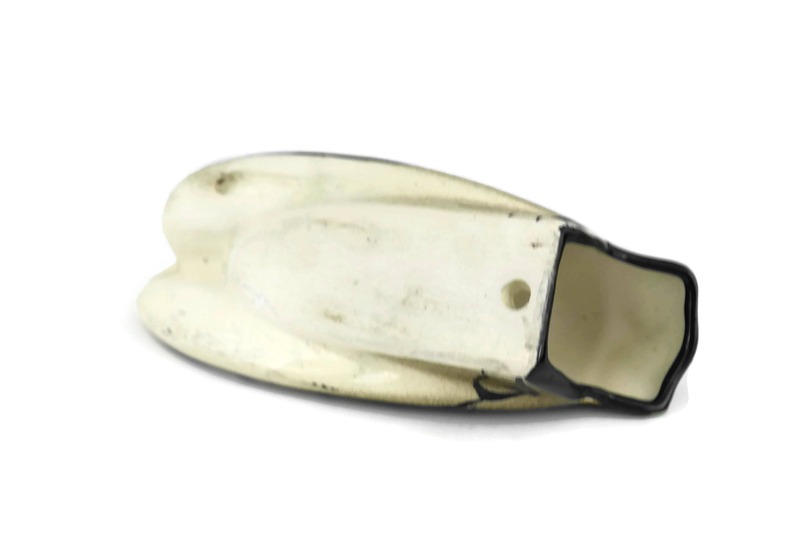 Small: 5" Long x 2" Wide (13 cm x 5 cm). 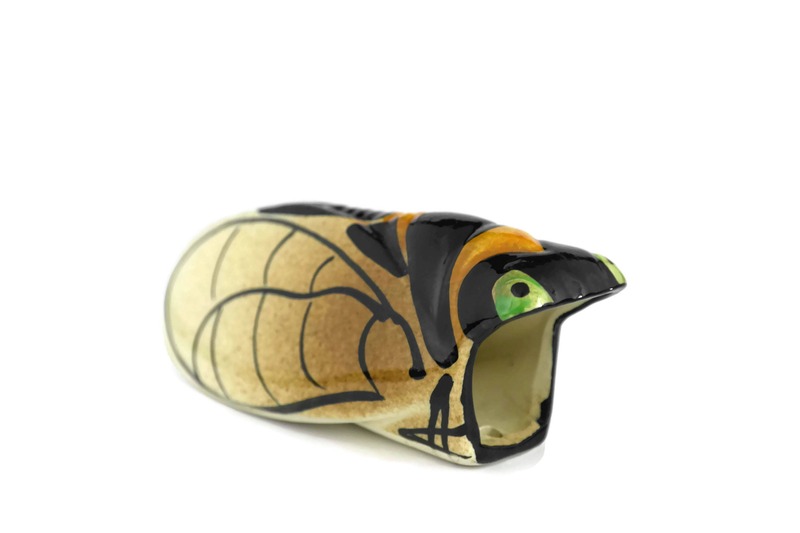 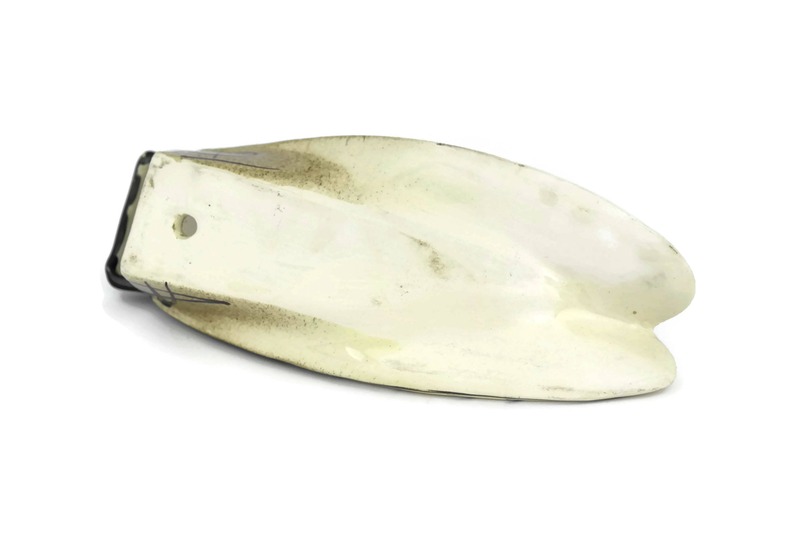 The vintage ceramic cicadas are in very good condition with light wear.